Browse Artists and Groups Frederick W. Hutchison, R.C.A. 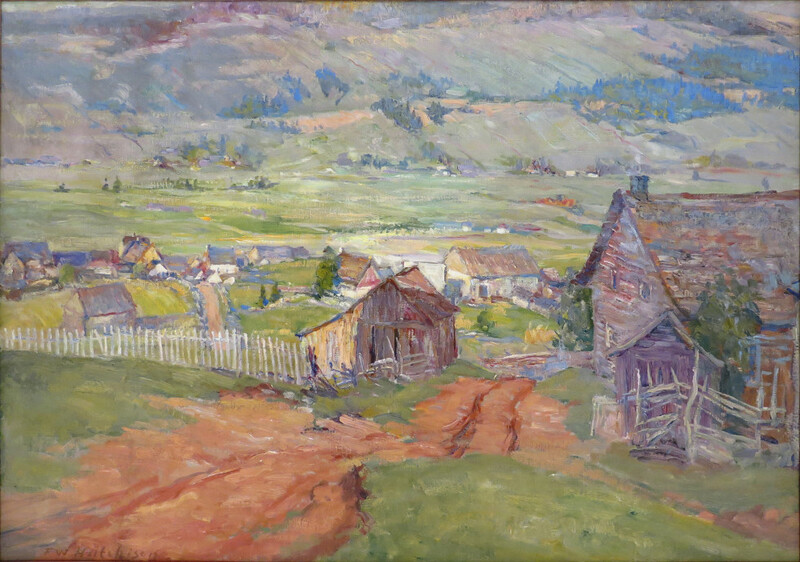 Frederick William Hutchison was born in Montreal, Québec in 1871. He studied at the Art Association School in Montreal under William Brymner, at the Chase School in New York City under William Chase and in Paris at the Julian Academy under Jean-Paul Laurens and Benjamin Constant. In 1905, Hutchison moved to New York City where he taught at the College of the City of New York, first as a tutor for the department of art in 1906, then as an instructor of art in 1908. By 1920 he was Art Supervisor of the Townsend Harris Hall School where he remained until his retirement in 1939. Although Hutchison did some portraits, he preferred to paint colourful Canadian landscapes, especially the Hudson area and the Charlevoix County. While he was living and teaching in New York, Hutchison often returned to the family residence in Hudson Heights, where he settled permanently after he retired. During his lifetime Hutchison gained some recognition. He was represented in Montreal by three important commercial art galleries: W. Scott & Sons, the Stevens Art Gallery and Watson Art Galleries. He had several solo exhibitions with each gallery as well as at the Arts Club and the Art Association of Montreal. Hutchison received further public recognition with his election to the prestigious National Academy of Design in New York in 1935 and to the Royal Canadian Academy in 1937. 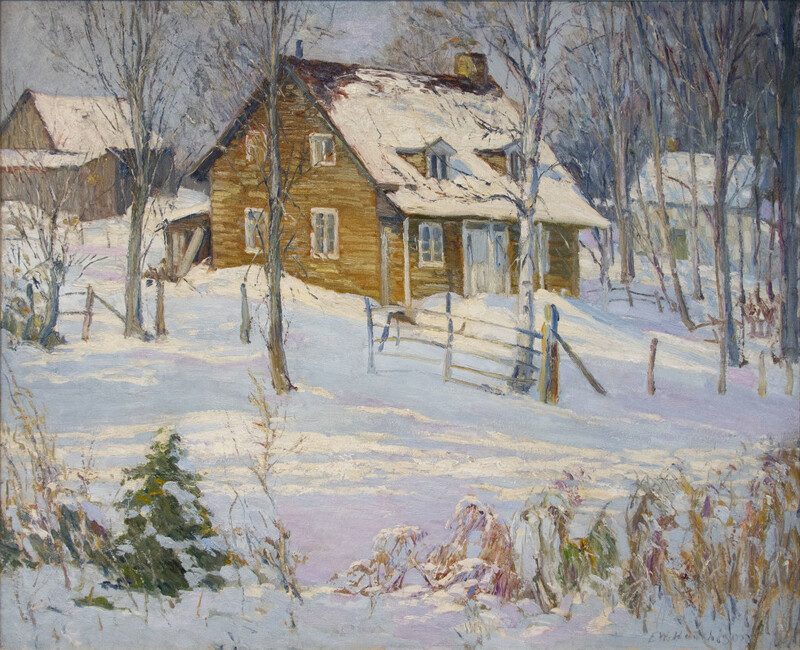 Hutchison is represented in the following collections: the National Academy of Design (Diploma work - Mill on the Remy), NYC, New York Athletic Club, NYC, Montreal Museum of Fine Arts, Art Gallery of Ontario, Musée national des beaux-arts du Québec, The Engineer's Club, Montreal, National Gallery of Canada (R.C.A. Diploma Collection), Beaverbrook Art Gallery, NB, Winnipeg Art Gallery, Mount Royal Club, Montreal, and the McGill University, Montreal. Frederick W. Hutchison died in Hudson Heights, Quebec, at the age of 82. Please send me more details about the following artist. Frederick W. Hutchison, R.C.A. signed "F. W. Hutchison" (recto, lower right).